The demand for exotic delicacies and medicinal products in China and Hong Kong has been fueling excessive poaching for decades. Two marine predators – sharks and manta rays, both indispensable to the oceanic food chain – are prey to this trend. Fins from up to 73 million sharks each year are used to make shark fin soup, a popular luxury dish in China and other Asian countries. You can see an informational video about sharks and cruel finning process here. On the other hand, manta rays are hunted for their gill plates, which are falsely believed to have medicinal properties – in reality, their gill plates are highly toxic, with levels of arsenic ten times above the concentration allowed by the World Health Organisation. Manta rays, in particular, are extremely vulnerable to overfishing, as they have very slow reproductive rates – less than a tenth of the rate of sharks. The Marshall Foundation is proud to support WildAid, an organisation which strives to protect these animals by spreading awareness about the devastating effects of the fin and gill trades. It provides ongoing support to the social media outreach of the shark and manta ray campaigns in Hong Kong and mainland China. In these territories, where the fin and gill industries thrive, lack of public awareness is still a major issue. In 2006, surveys revealed that 75% of Chinese were unaware that shark fin soup comes from sharks (the dish is called “fish wing soup” in Mandarin), while 19% believed that the fins grew back. WildAid’s campaigns aim to educate the public. At the center of each of its campaigns is a well-known celebrity – influential celebrity ambassadors invited by WildAid include ex-NBA player Yao Ming, international artist Maggie Q and Chinese actor Wu Xiubo, among others. These international stars spearhead large-scale media campaigns that include high-quality videos and billboards, drawing public attention to the realities of irresponsible consumption and the threat it presents to biodiversity. The organisation’s Hollywood-style public service announcements (PSA) on the issue of shark fin have secured airings on over 14 TV channels in China, with an estimated pro bono broadcast value of $30 million in 2015. 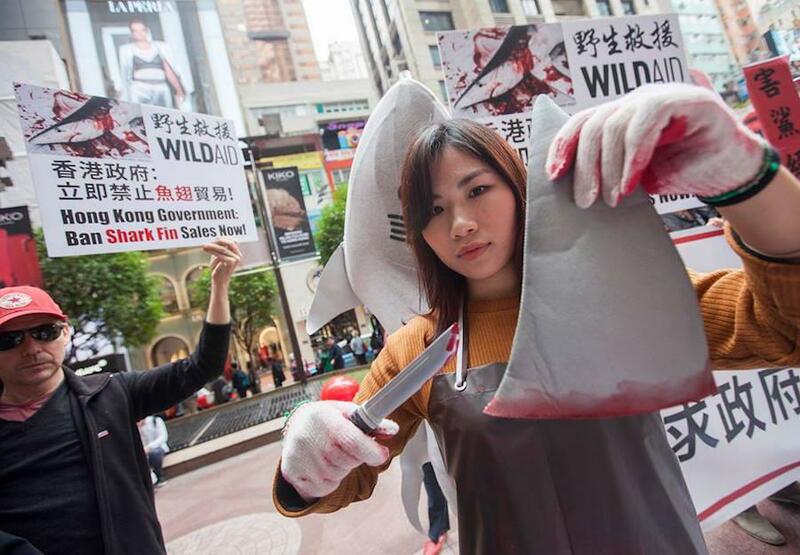 Beyond its extensive media presence, WildAid has also worked with partner NGOs in urging maritime cargo companies and air carriers to ban all shark fin shipments, and for hotel chains to stop serving shark fin soup in their restaurants. Its efforts have netted positive results: the Intercontinental Hotel Group banned shark fin soup from its properties, while UPS, American Airlines Cargo and Mitsui O.S.K. Lines adopted fin-free shipment policies. A further example of its impact may be found in the recent decision by Cathay Pacific Airlines to ban the carriage of shark fin on all its flights – a decision seen by conservationists to be a watershed moment in Hong Kong’s history of shark fin export and consumption. WildAid has also partnered with conservation groups in Peru to successfully lobby the Peruvian government for regulations prohibiting fishing of giant manta rays. 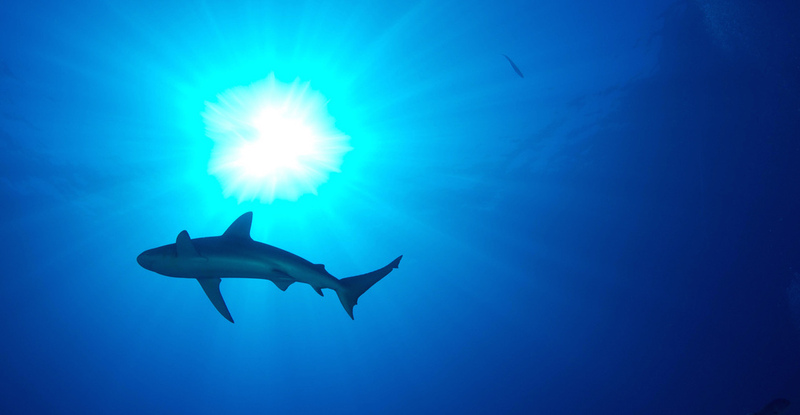 Following WildAid’s successful media campaigns, the Hong Kong and Chinese governments banned shark fins from all state banquets and governmental functions in 2012. In the wider context, the organisation’s efforts have contributed to a 50 to 70 percent decrease in shark fin consumption in China since 2011. The outreach was such a success that three major shark fin traders were driven from the industry in 2013 as it was no longer profitable, with shark fin prices falling as low as those for squid. The Marshall Foundation is honoured to join hands with WildAid on its mission to stop the inhumane trade of shark fin and manta gills, and to ensure a brighter future for all wildlife.